Hahahahahah aiyooooo screamyx oso so slow tonight, almost heart attack la chopping!! That's terrible waste not being able to walk up to the Moon Hill. I hate tour companies doing all this "view from afar" kind of thing. They should have included a walking tour to the Moon Hill. Tour guides are usually more interested to take you guys shopping as they earn more commission for doing that. It looks like a moon? Hmm...well the first picture looks more like a moon but certainly not the second one. I guess that's why they called it Moon Hill? Those tour companies just want to grab money fast and let you see from far so only and you can blame them later as you already see the place or thing. Nice tactic. The Moon Hill really nice woh! Maybe should call it Moon Gate. Hehe. More like a gate to me. wow... another moon?? how many moons does guangxi have actually?? Cute analogy of Look and Go (smarttag) Haha..
eh.. no need go travel myself already..
Btw, sounds like you and your friends/group were taken for a ride on this one, literally. Oops! Did you all protest or demand for a great discount? Cracked your knuckles, stomped on the ground and all that stuff?! Kidding.. LOL! aiyohhh.... just pass by? That looks like a great place to explore and take pictures. So did the tour guide bring you to factories or duty-free shops to make purchases? That seem to have ample time. One thing I don't like about joining such tours is that they always try to squeeze in shopping. well, you know what to do when the tour ends & the tips are due. So they put Moon Hill in the itinerary even though they in fact just passed through. Happen to me in HK. Actually, every mountain, hill and tree anywhere in the world do resemble something from a certain angle if we want to "commercialise" it that way, right or not Foong? 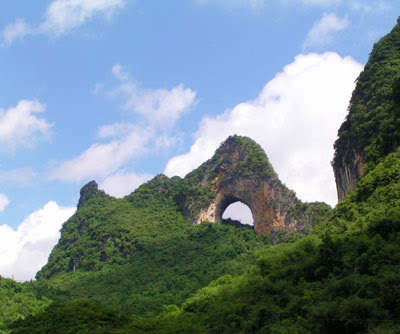 If you drive up just before Gopeng towards Ipoh, one of the limestone hills does look like a lion and it has been there for donkey years.Do you know that, Foong? foong, ur FC thingy is making ppl having heart attack nie.. ppl rush rush rush rush.. aiyo. me leh? nvr got that luck.. once oni! boo hoo hoo..
mariuca, streamyx slow again? Lucky you still managed to be FC! Haha! manglish, yes amazing landscape and amazing people. LOL! elaine tam, yeah it's nice, but too bad I could not take any photos of it! eiling, you can say that again! All they care is their commission! wenn, what is new to you - the Moon Hill or the tour guide skipping the Moon Hill? tekkaus, exactly...we passed by and did not stop! So you also agree we should not pay them eh? Looks like I'm getting more support this time unlike previous posts when I'm advised not to act funny while in a foreign country! LOL! superman, moon gate? Sounds like some sci-fi movie. haha! che-cheh, not sure, but according to info from the Internet, you can walk up there! Maybe it'll take too long so the tour guide decided not to let us go there. fufu, actually one only. The one in the sky. LOL! khengsiong, yes there is access road but you need to walk. Yes, the tour bus should have at least stopped for 10 minutes to let us take some photos! dolly, oh no! Traveling there and experiencing it first hand is very different from just reading my blog! 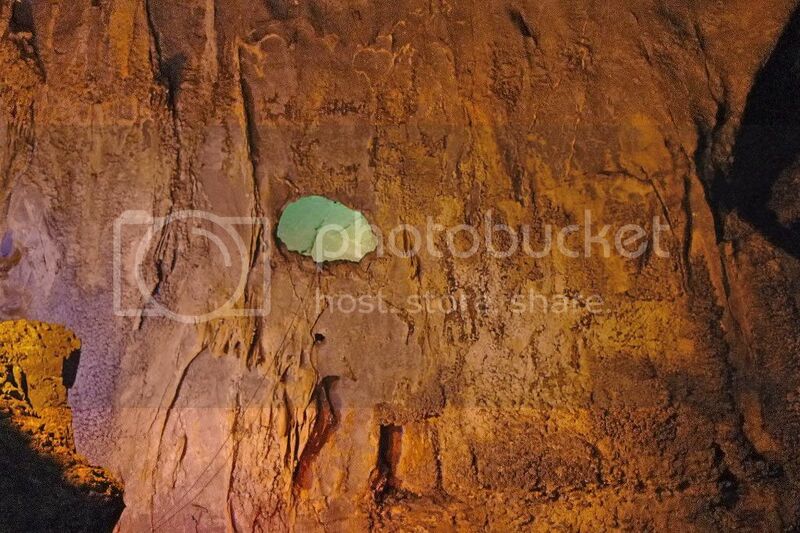 happysurfer, actually, it's just a hole on the wall of the cave and it sort of resembled the moon! Haha! None of us protested, but we think no need to protest, just don't pay up! LOL! eastcoastlife, yalah, so sayang. Yes, of course they brought us to a shop and of course we didn't buy anything! Even if I see something I want to buy, I would not buy it there! Haha! I guess all tour companies are like that, they will bring you shopping. So always try not to follow tour. It's best to go on your own and I'm so glad we went to most places in Guilin on our own! lina, haha! Eh, you are in Japan already right? So free go online? Access online from your hotel room? Happened to you in HK? I guess a lot of the tour companies are like that! 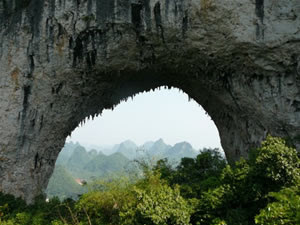 bura, I have seen so many different hill and rock formation in Guilin that resemble all kinds of animals, I am getting a bit tired of it all! our china tour before was also a bit like that, the tour guide brought us to those shops and not to r=the tour spots. Lack of time coz they were delayed must be their reason but still people will pay for the tour so it better be complete! yea. it did look like moon! hahaha, at least u get to see a moon, tho a small one. I love your earlier Banyan Tree post. Is there another moon inside a cave? How come I never got to notice? I wonder are you traveling alongside me, haha! Oh? So that's a hole looking out to the sky? Interesting. Thanks. The arch formation on the rock sure look like a moon. That place look quite remote, might take days to reach on foof leh! the last pic arouses my curiosity. waiting for more info. i liked the banyan tree post lots... perhaps the most among this series. temples etc we have the same genre in M'sia. i can't see any moon in that cave. where is the moon? now that's one of the reasons i prefer to travel independently as it helps to plan and organize a trip to my own requirements. the hole in the hill of the first pic does look like a moon to me.